TUTTY, WILLIAM, priest of the Church of England; b. c. 1715 in Hertfordshire, England, son of William Tutty and Gruzzel Drew; d. 24 Nov. 1754 in Hertford, England. William Tutty received his ba from Emmanuel College, Cambridge, in 1737, and his ma in 1741. He was ordained a deacon of the Church of England in 1737 by Bishop Robert Butts of Norwich, on letters dimissory from the bishop of Lincoln. He became a curate and “afternoon lecturer” at the parish of All Saints, Hertford, in 1744, and was ordained a priest by Bishop John Thomas of Lincoln on 18 Dec. 1748. In April 1749 Tutty was accepted by the Society for the Propagation of the Gospel as a missionary for Nova Scotia; his salary was to be £70 per year. 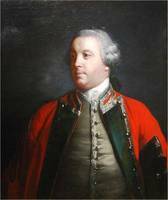 He arrived at Halifax on 21 June with the first settlers for the new colony in the expedition led by Edward Cornwallis*, the governor of Nova Scotia. His first services were held in the open air at the governor’s residence (site of the present Province House), and later in Alexander Callendar’s warehouse (close to the present St Paul’s Church). St Paul’s Church was built in 1750 and Tutty preached the first sermon there on 2 September. During the first months in Halifax, Tutty shared his work with the Reverend William Anwyl, who was appointed a missionary by the SPG about the same time as he. Anwyl was prone to excessive drinking, and became more and more negligent in his work. Tutty observed that “both his actions and Expressions bespeak rather the Boatswain of a Man-of-War than a Minister of the Gospel. . . .” The SPG ordered Anwyl’s recall to answer charges about his behaviour, but he died before receiving this order, on 9 Feb. 1750. Tutty’s efforts at reforming some of the older settlers were not too effective, so he turned his attention to “our Chief Hope, the rising generation,” for whom he secured a schoolmaster, Edward Halhead. He found some difficulty in ministering to the French and Swiss Protestants in the settlement, and recommended in September 1749 that the SPG appoint as his assistant Jean-Baptiste Moreau, who had also come with the settlers in June. Moreau succeeded Anwyl in June 1750. As early as August 1749 Tutty had asked for leave to return to England on private business, but he was not able to go until shortly after 18 Oct. 1752, when he wrote his last letter to the SPG from Nova Scotia. His successor in Halifax was John Breynton*, who had arrived in June. On 3 Jan. 1753 Tutty married a widow, Mrs Catherine Hollows, at All Saints Church, Hertford, where he was again employed as an “afternoon lecturer.” A daughter was born in November 1753. A year later, on 24 November, Tutty died and was buried in the churchyard of All Saints. All Saints Church (Hertford, Eng. ), Parish registers. Hertford County Records Office (Hertford, Eng. ), Allen index to Hertfordshire marriages. Lincoln (Eng.) Archives Office, Episcopal register 38, f.545. USPG, B, 17, pp.22, 38; 18, pp.1, 4, 223; 19, p.6; 20, p.5 (copies in PANS, USPG mfm, reels 14, 15); Journal of SPG, 1, p.156. Alumni Cantabrigienses: a biographical list of all known students, graduates and holders of office at the University of Cambridge, from the earliest times to 1900, comp. John and J. A. Venn (2 pt., 10v., Cambridge, Eng., 1922–54), pt.i. Bell, Foreign Protestants. G. W. Hill, “History of St. Paul’s Church, Halifax, Nova Scotia,” N.S. Hist. Soc. Coll., I (1879), 35–38. C. E. Thomas, “TUTTY, WILLIAM,” in Dictionary of Canadian Biography, vol. 3, University of Toronto/Université Laval, 2003–, accessed April 20, 2019, http://www.biographi.ca/en/bio/tutty_william_3E.html.